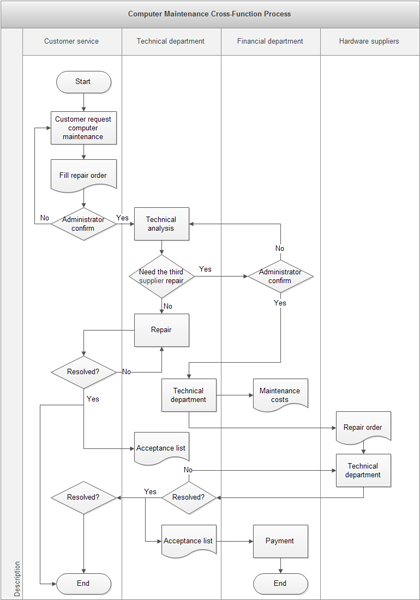 An example swimlane flowchart, showing the computer maintenance flowchart. The example includes a simple flowchart among the customer service, technology department, financial department and hardware suppliers. Searching a way to create flowchart? Try Edraw flowchart software which contains tools and symbols to draw personalized cross-functional flowchart easily. Lots of automatic features greatly simplify the drawing and save time. You can start from ready-made flowchart examples or begin from blank.